This concise and accessible text provides an integrated overview of the cardiovascular system - considering the basic sciences which underpin the system and applying this knowledge to clinical practice and therapeutics. 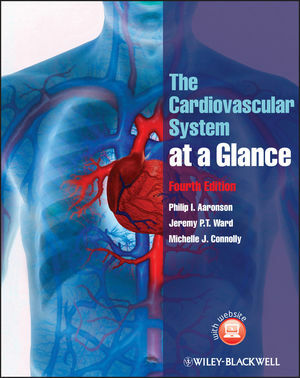 A general introduction to the cardiovascular system is followed by chapters on key topics such as anatomy and histology, blood and body fluids, biochemistry, excitation-contraction coupling, form and function, integration and regulation, pathology and therapeutics, clinical examination and investigation - all supported by clinical cases for self-assessment. Highly visual colour illustrations complement the text and consolidate learning. The fourth edition of The Cardiovascular System at a Glance is an ideal resource for medical students, whilst students of other health professions and specialist cardiology nurses will also find it invaluable. Examination candidates who need an authoritative, concise, and clinically relevant guide to the cardiovascular system will find it extremely useful. A companion website featuring cases from this and previous editions, along with additional summary revision aids, is available at www.ataglanceseries.com/cardiovascular. Companion website features cases from this and previous editions, along with additional summary revision aids.